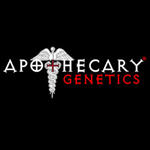 Apothecary Genetics - Bubba Berry. Free US delivery. Bubba Berry is a mix between Bubba Kush and a Blackberry male. It has an exquisite taste of juicy blackberry with hints of earth and musk. This indica-dominant strain is known for its positive medical effects, particularly PMS, Anxiety, PTSD, Bipolar and ADD. 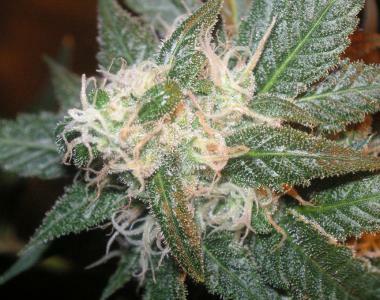 In just 6-7 weeks up to 400 grams m2 of fruity buds are going to be ripe for harvest. All filled with a delicious essence that is going to make your mouth water. Bubba Berry provides a great recreational high that has an incredible happy effect that will chill you out, allowing you to drift off to sleep in a deeply relaxed state of total calm.